Students in St. John getting a life lesson in life skills. 7thand 8thgraders at Gifft Hill School learned all about how to balance their budgets and create a good credit score Wednesday. The program was put together by Junior Achievement of the Virgin Islands. This year JAVI has over 70 volunteers from the local business community servicing over 600 students throughout the territory. On Wednesday, March 27th, 23 7th graders at Julius E. Sprauve School were experiencing JA in a Day, a full day immersion in one of Junior Achievements’ core programs Economics for Success (EFS). EFS teaches students the heart of a successful economic life: choosing the right career and managing money properly. 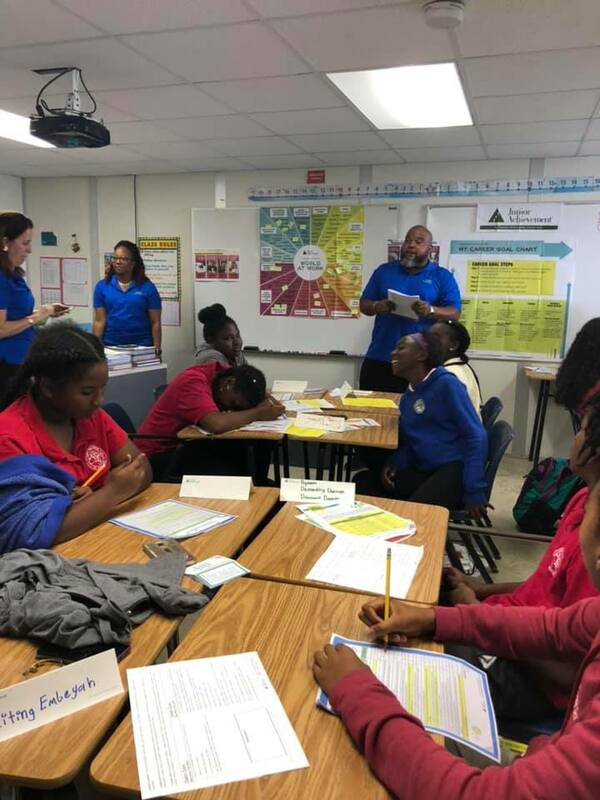 Junior Achievement partners with the Department of Education and members of the business community to ensure the youth of the Virgin Islands are given the tools to create a secure financial future and have a positive outlook and plan for life after high school. Junior Achievement Virgin Islands is led by a 9 person Board and welcomed its new Executive Director, Denelle Baptiste in January of this year. Junior Achievement (JA) Worldwide is the world’s largest organization dedicated to helping young people understand the economics of life and the Free Enterprise System. Celebrating 100 years this year, JA Worldwide works in over 119 countries with over 8 million students, to change the way our next generation of leaders look at their role in the world.